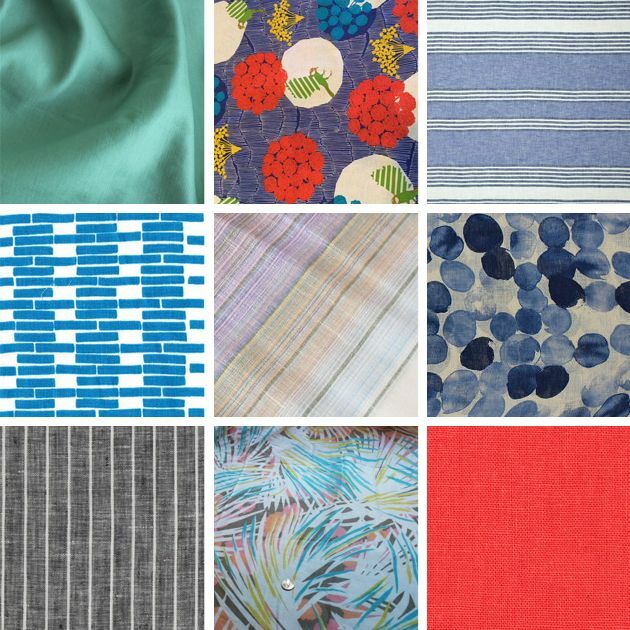 I love choosing fabrics for new sewing projects. I can easily get lost for hours searching for the perfect one. Today I thought it would be fun to share some more info. 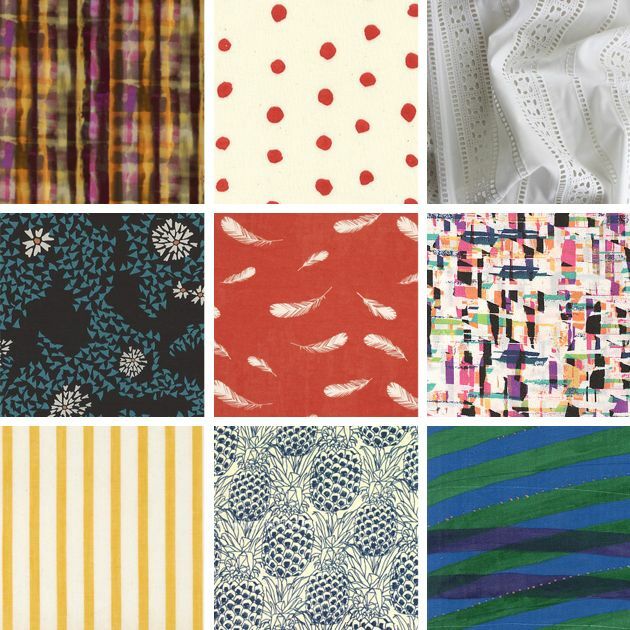 on some of the recommended fabrics for the Southport dress and give you some ideas for sources in case you are on the hunt. I may have gone a little overboard, but I am not apologizing. It was too fun to dream up all of the possibilities. The pattern suggests lightweight woven fabrics with a lot of movement such as voile, rayon challis, lightweight linen and crepe de chine. 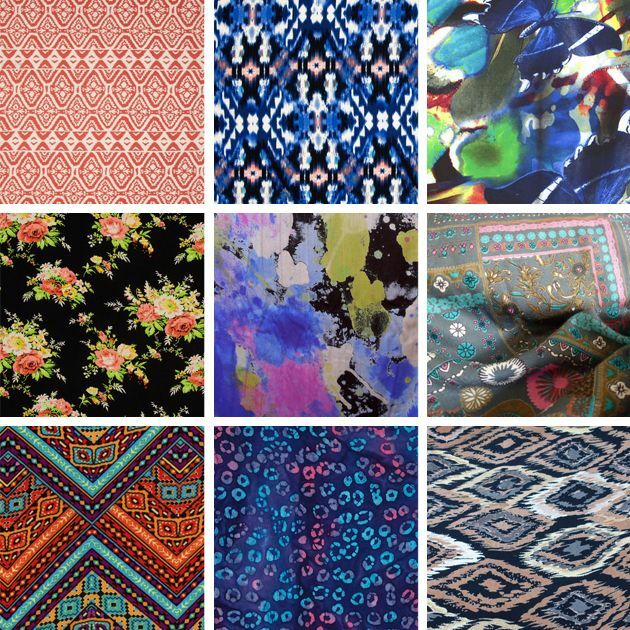 We will go over these below, but there are of coarse other suitable fabric choices too. Just make sure that the fabric has movement and is lightweight so that it will be flattering. Before we get started I wanted to address lining. I have had a few questions about whether or not it’s possible with this pattern. It is possible for sure, but I honestly do not recommend it, especially if you are using a cotton fabric. Because the Southport has a drawstring waist you run the risk of too much bulk in the mid section with the extra layer of a lining. I suggest reserving the light colored voiles and eyelets for the versions that you plan to wear as beach coverups and stick to non see-through fabrics for your everyday Southport dresses. If you want something easy to cut and sew then cottons are your friend. Especially if you consider yourself a beginner sewer, using a cotton will make the whole process easier. Because cotton fabrics generally do not have much drape you really want to make sure that you choose a cotton that is lightweight. I do not recommend quilting cottons as they tend to be more stiff. Appropriate cotton fabrics would include voile, lawn, and double gauze. I love working with linens and they are another beginner friendly fabric to work with. I am drawn to how breathable they are in the warmer seasons, how easy they are to care for, and the natural textures of the fabric. Linen will usually wrinkle a lot, but I like to embrace that. When choosing a linen just make sure that it is a lightweight linen so that it has some drape to it. Oh rayon, how I love you. 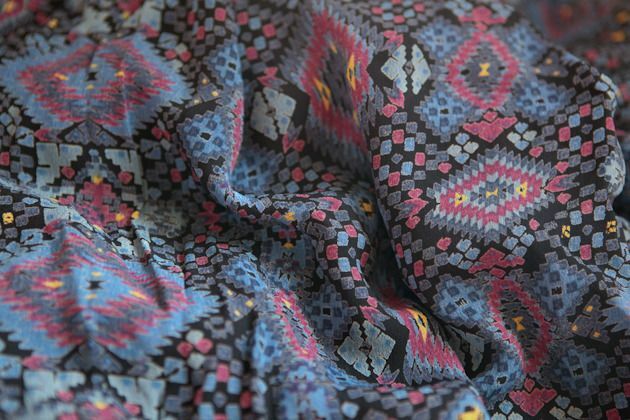 Rayon is the perfect baby step into more difficult and slippery fabrics for someone who wants a more flattering fabric, but is not quite ready for the big guns like silk. Generally speaking rayons have great drape, but are still pretty easy to work with. My favorite type of rayon to work with is rayon challis. It’s usually quite affordable and comes in lots of fun prints. The only downside is that it does wrinkle a lot as well. But, when used for a dress I find that the weight of the fabric really helps take care of that. You may also see rayons marked as viscose. Crepe de Chine is another one of my very favorite types of fabric to work with. For a more affordable option choose a polyester, but for a more luxurious feel definitely go for silk. You won’t regret it. Although silk is more expensive, I find it much easier to work with than polyester. It presses well and has a gorgeous drape to it. The reason why I like crepe de chine so much is that while being lightweight and flowy it is usually not see through like similar fabrics might be. I will be sewing up two dresses for the sewalong – one for View A and one for View B. For View A I am using this poly crepe from fabric.com . I am always a sucker for black and white and I like the simple irregular dots. And for View B I have this amazing rayon that I bought off of etsy. I think I bought up the rest of her supply, but she has some other amazing rayons. I also bought this one which I will be using for a future variation tutorial. If you are participating in the sewalong next week go ahead and prewash your fabric and iron if needed. Can’t wait to get started. How about a chambray? I’ve been wanting to try some and my LQS has about 8 different ones that I’d love to use for the long Southport. i think that chambray would be awesome. ive been on the lookout too. you just want a really lightweight, like vintage feel, chambray. Wow thank you for featuring my palm leaves linen in this! I absolutely love your Sutton blouse and I just picked up another linen that I think will be perfect for the Southport!! I am excited!! Thanks for linking to all these great Etsy stores I’d never heard of. It can be a bit of a pain to go digging for fabric there, so the help is welcome! 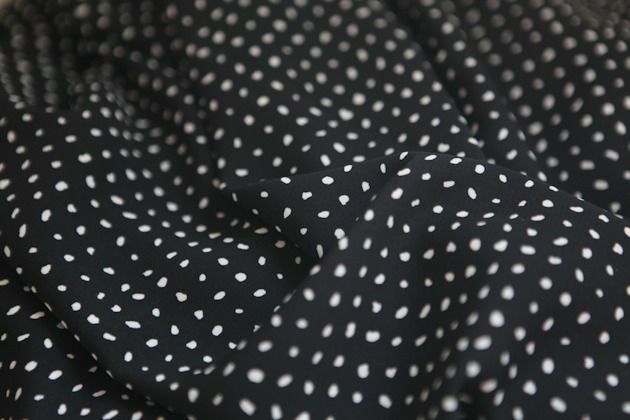 I have a bunch of that b&w poly dot leftover from another project and have been planning to make a dress out of it too! It IS just too hard to resist a good irregular dot. I’ve used that poly crepe before for a dress. It’s really nice stuff!! I was impressed with it. I’m so doggone excited for the sewalong! I just ordered my slate grey voile today from Bolt & Spool, and it should be here by Monday. I’m mid-way through my Southport out of Cotton + Steel double gauze (in the spark mustard print/colorway). I’m hoping to finish it this weekend and then get to wear it/take photos when I’m in New Orleans soon! I think it’ll be on the casual side in the double gauze and I definitely want to make one in rayon for a little fancier version. I love the black and white polka dots. I love all of these! 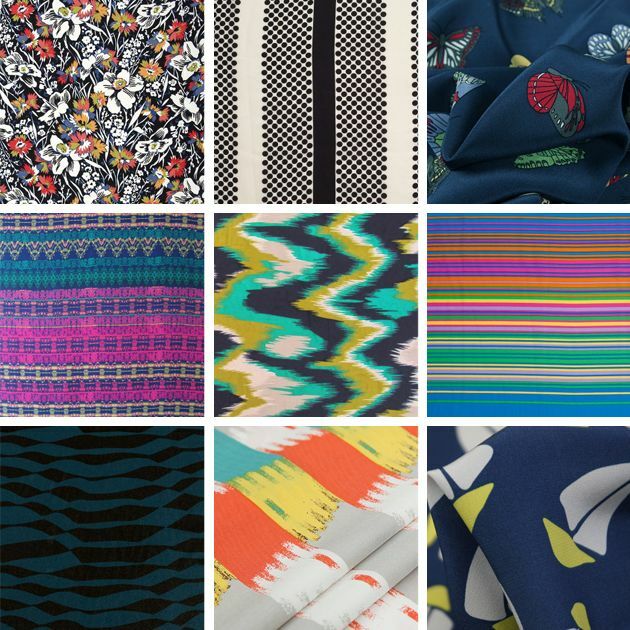 Thanks for sharing all these great fabrics! Is there any reason that this shouldn’t be made in a lighweight jersey?